A Palestinian political prisoner at Junaid prison in the northern West Bank city of Nablus set his room on fire to protest his detention conditions. Omar Afaneh, the prisoner’s uncle, said on his facebook page that his nephew Ibrahim Ahaneh, 23, set his room on fire on Saturday evening to protest his detention conditions at the PA jail. He added that the PA intelligence officers evacuated him and gave him first aid and managed to put the fire out. The prisoner's uncle added that his nephew, who is a member of Fatah and works for the PA security forces, has been in detention for the past two and a half years on the pretext that he is wanted by the Israeli occupation forces. He called on PA officials to end the file of those wanted by occupation authorities as they feel they are being neglected by the PA and that his nephew took this step out of desperation. The Palestinian authority (PA) preventive security forces kidnapped on Saturday three senior members of the Islamic bloc, the student wing of Hamas, outside Khadouri university in Tulkarem. A source from the Islamic bloc told the Palestinian information center (PIC) that the PA preventive security forces ambushed the three young men as they were about to enter the university, rounded them up and drove them away to one of the interrogation centers in the city. He affirmed that the PA preventive security did not disclose its kidnapping of the three young students quickly and left their families worried for hours. He said that the detainee are Amro Diyab, 23, Odai Barri, 24, Ahmed Fanni, 23, and all of them are a fifth-year electrical engineering students. The Islamic bloc at the university held the preventive security fully responsible for the safety of the students and appealed to the Palestinian freedoms committee to intervene to have them released and end the PA suppression of the students' rights and freedoms. The PA security apparatus in Nablus had kidnapped on Friday six senior member students of the Islamic bloc at Al-Najah university on charges of organizing a display event in support of the Aqsa Mosque. Hamas MP Mushir Al-Masri has called for a popular revolution for the liberation of al-Aqsa Mosque, stressing that the mosque will not be divided. "We call for a popular revolution in Ramallah, Tulkarem and all the Palestinian lands to liberate Jerusalem and al-Aqsa Mosque, he said during a mass march organized by Hamas movement after Friday prayer in support of al-Aqsa Mosque. He pointed out that the Israeli occupation intensified and escalated its Judaization schemes in Jerusalem amidst international silence and under negotiations umbrella. The Israeli authorities work to undermine the Islamic and Arab presence in Jerusalem, he said, calling for the liberation of al-Aqsa mosque and Palestine from the (Jordan) River to the (Mediterranean) Sea. He stressed that Jerusalem will never be divided as Israel plans, saying that Hamas movement and Al-Qassam Brigades are ready to defend it. He praised the Jerusalemites' steadfastness in defense of the holy city of Jerusalem. He also called for activating resistance in the West Bank as the sole and effective option to respond to Israeli crimes. The leader in Hamas movement called on the PA to bear its responsibilities towards al-Aqsa mosque and to stop arresting resistance elements in the West Bank, criticizing the PA security coordination with the occupation. Thousands participated in a march in the Nuseirat refugee camp in Gaza Strip after Friday prayers where they chanted slogans against the occupation and in support of resistance option. Resistance elements participated in the march to send a message to the occupation that they will be always in defense of the holy sites. 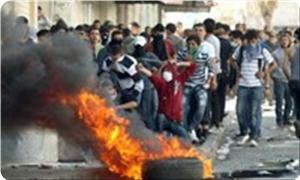 Violent clashes broke out on Friday in different areas in al-Khalil southern occupied West Bank. Eyewitnesses said that clashes erupted in Shalala neighborhood, Bab al-Zawya, and Abu Hadid areas in downtown. Israeli soldiers fired tear gas canisters at hundreds of Palestinians who were protesting the Israeli attacks against al-Aqsa Mosque. Violent confrontations took place near Fawwar refugee camp, southern al-Khalil, when Israeli soldiers broke into a Palestinian citizen's house and stationed on its roof where they fired tear gas bombs at young men. Several military checkpoints were erected throughout al-Khalil to deter popular protests, local sources said. Palestinian youths threw two Molotov cocktails at an Israeli military tower in Beit Ummar in response to the Israeli live bullets fired at the Palestinian houses, activist Mohammed Awad told the PIC. 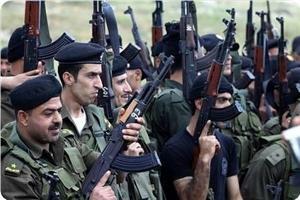 He added that dozens of Israeli soldiers were deployed at the main entrance to the town. On the other hand, PA security forces intensified their presence in different areas of al-Khalil where they prevented Palestinian youths from participating in the protests. 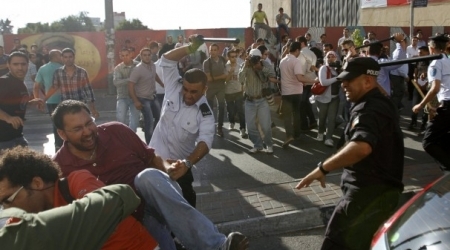 The PA forces brutally beaten the youths and prevented journalists from covering the clashes. The sources added that the PA security forces were deployed over the past four days in an attempt to prevent the protests as part of the security coordination between the Palestinian and Israeli security forces. The PA Intelligence services have arrested six students of the Islamic Bloc at An-Najah National University on Thursday. Five students have been arrested in Nablus after being chased by PA forces while getting out of university, the Islamic Bloc said. The students were preparing for an exhibition in support of al-Aqsa mosque. The students' arrest was in coordination with the university guards, the sources added. The Islamic bloc strongly condemned the arbitrary arrest of its members by PA forces warning of its serious implications. The bloc called on the Reconciliation Commission and wise men in Fatah movement to intervene to stop persecuting the Palestinian students and to put an end to political arrests. It also called on PA forces to devote themselves to resist the occupation that escalated recently its attacks against al-Aqsa mosque. Meanwhile, the Palestinian Authority security apparatus have arrested a leader in Hamas movement in al-Khalil, and a liberated prisoner from Nablus, in addition to summoning two freed captives for interrogation. In al-Khalil, the PA Preventive Security services arrested the leader in Hamas movement Sheikh Omar Qawasmi, one of Marj al-Zohour deportees, while he was leaving his workplace at school. He spent seven years in Israeli jails. The Preventive Security Service stormed the leader's house several weeks ago where they handed him a summons but he refused to respond to it. Sheikh Qawasmi's family confirmed that the PA forces have repeatedly raided his house in an attempt to undermine Qawasmi's spirits. The Preventive Security soldiers have summoned two liberated prisoners from al-Khalil, Haron Awawda a few days after his release from Israeli jails and Sheikh Sharif Awawda who suffers from a weakness in his sight. In Nablus, the PA Intelligence services arrested the liberated prisoner Samer Awda after raiding his home in Hawara twon south of the city. 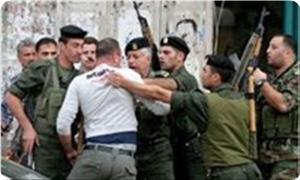 Samer has spent more than two years in addition to being arrested nearly 20 times by PA forces. On the other hand, the PA security services have set the political detainee Haitham Aqraa's trial on Thursday. The preventive security has also extended the arrest of the political detainee Mohammed Nasasra who was arrested 5 days ago. The Palestinian authority (PA) security forces kidnapped four Palestinian citizens and summoned three others for interrogation in the West Bank on charges of their affiliation with the Hamas Movement. In Qalqiliya, the PA preventive security forces launched a security campaign in Saniriya town near the place where the Beit Amin operation happened last Friday. 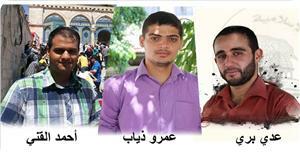 Among the detainees, Jamil Omar and Alaa Sadeq from Saniriya town, and a teacher named Mamdouh Barri from Immatin town. All of three men had been exposed to illegal arrests by the PA security apparatuses several times. In Nablus, the preventive security forces kidnapped Ghanem Sawalmeh, a senior Hamas figure, from outside a mosque in Balata refugee camp. He was an ex-detainee in PA and Israeli jails. For its part, the PA intelligence apparatus in Tulkarem summoned a journalist named Yazeed Khader for the second time in a week, as well as ex-detainee Othman Asi from Qarawat Bani Hassan village in Salfit. In Ramallah, another journalist named Mohamed Al-Qiq was also summoned for interrogation by the preventive security for the second time in a month. The Palestinian authority (PA) preventive security on Sunday evening kidnapped senior Hamas figure Ghanem Sawalmeh outside a Mosque in Balata refugee camp in Nablus. An informed source told the Palestinian information center (PIC) that Sawalmeh was kidnapped as he was en route to Balata Mosque for the evening prayers. He added that a vehicle boarded by PA preventive security personnel intercepted Sawalmeh near the entrance to the Mosque and took him to an unknown place. Sawalmeh's family, in turn, held the PA in Ramallah fully responsible for his safety. Sawalmeh had spent more than eight years in Israeli jails, mostly in administrative detention, and he was once exiled to the Gaza Strip in 2004 for two years before he returned to the West Bank to face arbitrary detentions. He was also taken prisoner by the PA security in 2009 for leading an election campaign for the Hamas parliamentary bloc. Palestinian Authority security apparatuses arrested five Hamas supporters, summoned another, and extended the detention of five others in the occupied West Bank during the past 48 hours. In Ramallah, the General Intelligence Service (GIS) arrested a student at the Faculty of Engineering at the University of Jerusalem and took him to its headquarters, less than 24 hours after the arrest of the representative of the Islamic bloc and a number of other students. PA's intelligence service arrested the two young men about 60 days ago. They have been exposed during the last period to severe torture, and their detention has been renewed several times. The GIS refused to release the detainee Mohammed Abu Keshk from Qarawat Bani Zeid who had been abducted more than 3 weeks ago, despite the court's decision to release him on bail. 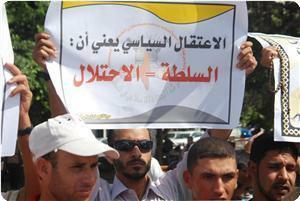 The GIS also refused to release Samir Abu Shuaib, despite the court's decision to release him. Thousands of Palestinians marched on Tuesday afternoon in the funeral procession of the slain young man Islam Tobasi in Jenin city, amid chants demanding the Palestinian Authority to give the Palestinian resistance a free hand to defend its people in the West Bank. The participants marched across the streets of Jenin while chanting slogans condemning the PA and its security cooperation with the Israeli occupation regime. The procession also saw violent clashes between some of the participants and the PA security forces which fired tear gas grenades at them. The body of Tobasi was then buried at Al-Shuhada cemetery in Jenin refugee camp in the absence of PA officials whose presence was unwelcome. For its part, the Islamic Jihad Movement mourned the death of Islam Tobasi, who was killed on Tuesday morning by Israeli soldiers after his detention in Jenin refugee camp. Islamic Jihad considered what happened to Tobasi a cold-blooded execution of an unarmed civilian and another crime committed by the Israeli occupation against the Palestinians in Jenin refugee camp. The Movement held the Israeli occupation regime fully responsible for the consequences of its crime and urged the Palestinians in the West Bank to revolt against the Israeli occupation forces. In a related incident, scores of Palestinian young men rallied outside the PA headquarters in Jenin city on the afternoon of the same day and clashed with the PA security guards in the area. The angry young men threw stones at the headquarters and the PA security guards and chanted slogans describing the PA as a puppet authority and condemning its security ties with the occupation. Many protestors sustained tear gas injuries during the events. 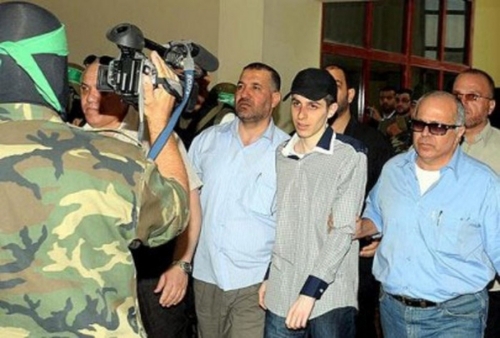 The Hamas culture ministry in the Gaza Strip announced Sunday it will produce a film about Gilad Shalit's captivity. Shalit was kidnapped in June 2006 when he was an IOF soldier stationed near the border with Gaza. 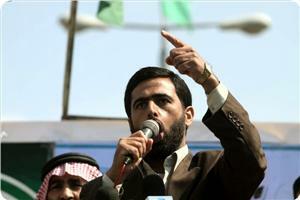 He was released in October 2011 through a deal signed between Israel and Hamas. Shalit's capture has been known as a "broken illusion" in Palestinian circles. The culture ministry explained that "the film's production stems from the ministry's desire to take part in social and cultural activity, and to spread and implement the resistance culture and the spirit of sacrifice in order to strengthen national Palestinian identity in the cultural sense." The ministry emphasized that it will try to raise awareness to the Palestinian prisoner issue through the film, stressing that forced resistance is "the best option and only hope to free Palestinian lands and over 8,000 Palestinian prisoners still captive in the Israeli occupier's prisons." Palestinian Authority’s security agencies rounded up six Hamas supporters in Ramallah, Nablus, Tulkarem, and Salfit over the past 24 hours. Local sources said that elements of the PA preventive security apparatus arrested a student in Nablus after summoning him for interrogation. They said that another student, who is a liberated prisoner, was arrested in Ramallah by elements of the same apparatus outside of a mosque after finishing Asr prayers. In Tulkarem, PA intelligence agents arrested a young man in Saida village after breaking into his home and confiscating his personal computer. Preventive security office in Salfit also nabbed a liberated prisoner after summoning him for interrogation. 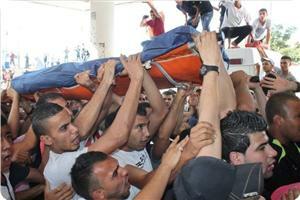 Two other young men, both sons of martyrs in Qarawat Bani Hassan, were rounded up by intelligence agents on Saturday. Meanwhile, Israeli occupation forces arrested a student in Al-Khalil university less than a month after he was released from PA custody, in another display of security coordination between the PA and Israel. The Palestinian Center for Human Rights (PCHR) strongly condemns summoning Dr. Hassan Abu Jarad and Dr. Ahmed Dahlam, professors at al-Azhar University in Gaza, by the police investigation bureau, allegedly for criticizing the government in Gaza. 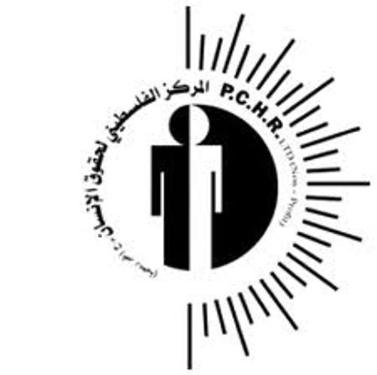 PCHR stressed in a press release Wednesday that this measure constitutes a violation of the right to freedom of opinion and expression and academic freedoms which are ensured under the Palestinian Basic Law and international human rights standards. PCHR calls upon the government in Gaza to take serious steps to prevent security services' intervention into such freedoms. According to investigations conducted by PCHR, at approximately 10:00 on Monday, 09 September 2013, Dr. Hassan Ali Abu Jarad, 58, from the northern Gaza Strip town of Beit Lahia, headed to the police investigation bureau's station in Beit Lahia as he had already been summoned. Dr. Abu Jarad stated to PCHR that he was taken into an interrogation room, where he was informed by an officer that he was summoned because he criticized Hamas and the government in Gaza. Dr. Abu Jarad added that he asked the officer to say what he was considering as criticism, especially as he believes that any government does right and wrong things, so it may be criticized. Dr. Abu Jarad was forced under the threat of detention to sign an oath to abstain from criticizing Hamas or the government. He was released at approximately 11:00 on the same day. 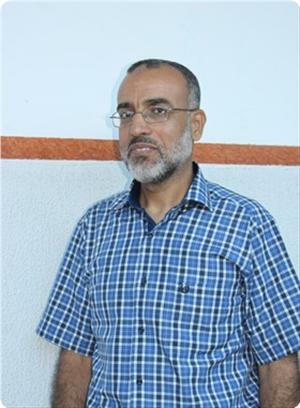 In the southern Gaza Strip town of Khan Yunis, on Thursday, 05 September 2013, the police investigation bureau summoned Dr. Ahmed Sa'id Dahlan, 57. Dr. Dahlan stated to PCHR that at approximately 09:00 on Thursday, he headed to the police investigation bureau's station in Khan Yunis. He was immediately taken into an interrogation room. Dr. Dhalan stated that he was questioned by an officer about claims that he insulted Muslims and acted against the government in Gaza. He added that he asked the officer to provide evidence to such accusations or bring a witness to support such claims. Dr. Dahlan stated that he refused to sign an oath to refrain from spreading rumors or acts of defamation. He was released at approximately 11:00 on the same day. - The right to freedom of opinion and expression is ensured under Article 19 of the Palestinian Basic Law and according to relevant international human rights standards. - The independence and freedom of universities, higher institutes and research centers are ensured under Article 24-b of the Palestinian Basic Law. - PCHR fully supports academic freedoms, including encouraging thinking and critical teaching methods and abstaining from imposing any control on them as they are part of teaching methods and developing the skills of students. Accordingly, PCHR Calls upon the government in Gaza to take strict measures to prevent security services' intervention into academic freedoms and the right to freedom of opinion and expression. It also Calls upon security services to respect the right to freedom of opinion and expression and academic freedoms which are ensured under the Palestinian basic law and according to relevant international human rights standards. 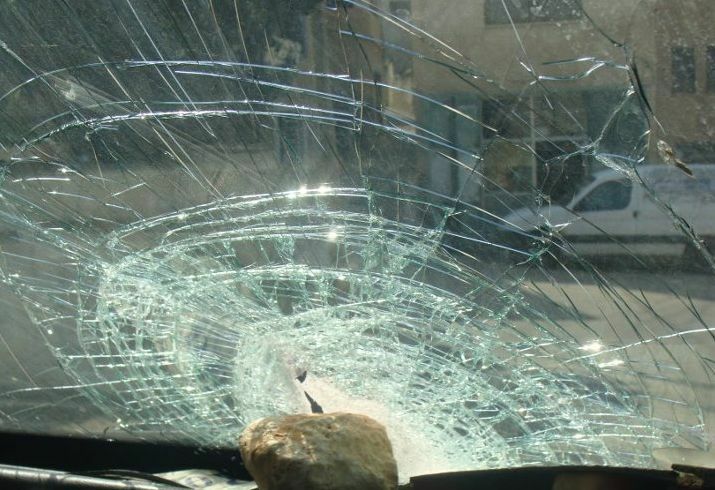 Wednesday evening [September 11, 2013] Israeli sources have reported that two settler women were mildly injured after a number of Palestinian youths threw stones at their car, near Beit Ummar town, north of the southern West Bank city of Hebron. The sources said that the two women were moved to the Hadassah Israeli hospital in Jerusalem, suffering minor injuries. 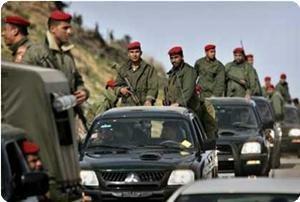 The army initiated a search campaign, and invaded several Palestinian homes in the area. Hebron has been subject to extensive Israeli military assaults that led to dozens of arrests and injuries, especially in the Al-Arroub refugee camp, leading to further tension in the area. In related news, Palestinian guards of the Al-Aqsa Mosque, stopped an Israeli woman who tried to enter the Al-Aqsa Mosque, in occupied East Jerusalem, disguised as a Muslim woman covering her entire body and even her face. Eyewitnesses said that the guards tried to talk to her and search her bag, and when she spoke back, she could not speak Arabic well, the Arabs48 news website has reported. Israeli Policemen then arrived at the scene, and one of the guards of the mosque asked to see her identity card. After he ID revealed her identity, she claimed that she “was Jewish but converted to Islam”, but when asked to read any verse of the Quran, or show anything that can prove her claim, she failed to do so. Israeli Police officers searched her bag, and found a Torah; the officers then took her to a police station in Jerusalem for interrogation in an attempt to reveal why she attempted to enter the mosque pretending to be an Arab, Muslim woman. Israeli and Palestinian sources have reported that three Palestinians, members of the same family, have been injured after being rammed by a settler’s vehicle near the Gush Ezion settlement bloc, south of the West Bank city of Bethlehem. Local sources said that a man and two women, from Um Salmouna village, have been injured in the incident, and that the man, Nidal Hayyan, 30, suffered serious injuries and was moved by an Israeli ambulance to Hadassah Israeli hospital in Jerusalem. The two women suffered moderate-to-serious injuries, and were also moved to Hadassah. 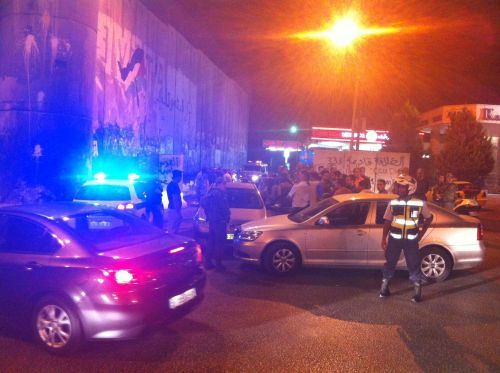 In related news, the Palestinian District Coordination Office (DCO) handed the Israeli DCO two settlers who entered Bethlehem after being involved in a traffic accident near Bilal Bin Rabah Mosque, north of Bethlehem. On Monday evening, September 9 2013, an Israeli military vehicle invaded the Beit Or Al-Tihta village, west of the central West Bank city of Ramallah, and rammed a child crossing the street. On July 2 2103, a young Palestinian man was killed after being rammed by and Israeli military jeep as the army invaded Doura town, near the southern West Bank city of Hebron. On Sunday May 26 2013, a 7-year old child was injured after being rammed by a settler's vehicle In Hebron. On Wednesday May 22, a 9-year-old child was seriously injured after being rammed by a settler’s car in the As-Salayma neighborhood, east of the Ibrahimi Mosque, in Hebron. On the same day, a 16-year-old child identified as Marwan Zackariah ‘As’ous, suffered serious injuries and was moved to the Rafidia Hospital, after being rammed by a settler’s car at the Beta Junction, south of Nablus. On May 14, Hanin Bassem Al-Ja’bary, 7, was injured after a settler rammed her with his vehicle close to the Ibrahimi Mosque, in the Old City of Hebron. The settler fled the scene. 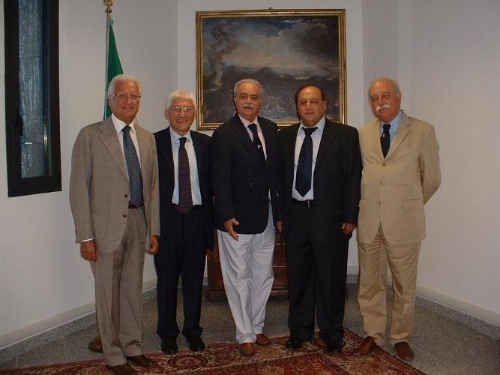 The Head of the Palestinian Bar Association (PBA), Mr. Hussein Shabaneh, and his counterpart, Mr. Sergio Paparo, President of the Florence Bar Association, signed a cooperation agreement in Italy to establish a framework for the exchange of professional experience and for support of PBA activities, EUPOL COPPS said in a press release Monday. Under the agreement the assistance will be provided to the PBA through legal education training schemes, advice on enhancement of organizational capacities, and through professional exchange of experience/knowledge between members of both bar associations. The President of the PBA was accompanied by an EUPOL COPPS legal adviser. The agenda for the visit included meetings with Italian lawyers' associations and the President of the Florence Court of Appeal and of the First Instance Tribunal. The President of the PBA also attended the 6th Conference of Presidents of the Mediterranean Bars which was held in Taormina, Sicily. At the conference he outlined the difficulties lawyers encounter in their daily activities in the occupied Palestinian territories. In addition, the EUPOL COPPS Defence Counsel Expert provided an outline of the mandate of the EUPOL COPPS mission. During the week-long visit, which was facilitated by EUPOL COPPS, participants were briefed on a range of issues including cooperation between the bar and the judiciary. On the sideline of conference, the President and Vice-President of the Italian National Bars Council, Mr. Guido Alpa and Mr. Carlo Vermiglio, discussed ways to support the PBA and considered a draft cooperation agreement between the Italian National Bars Council and the PBA. This agreement will be submitted for the approval to the Italian National Bars Council on 27 September.